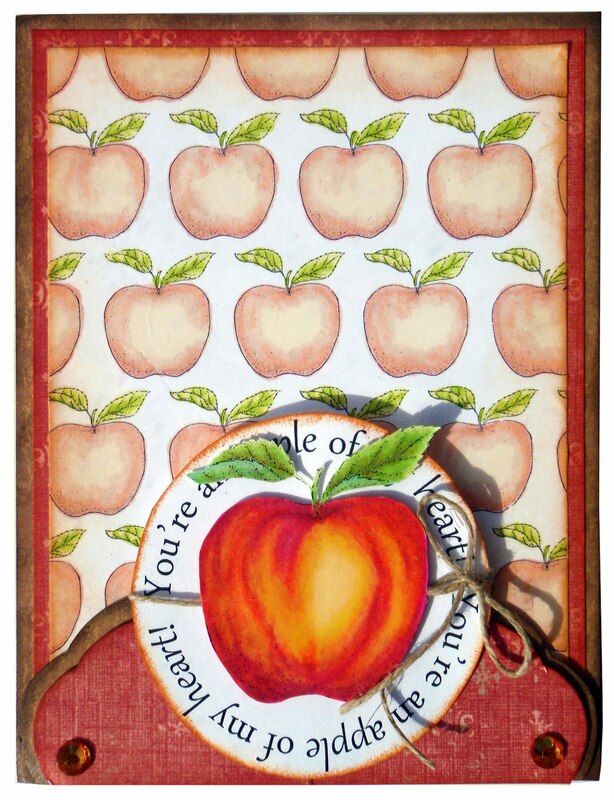 As one of the challenge options asks for the use of fruits, I used once again one of my stamps from Basketful Of Apples set (which you might get for free if you go to that post and do what's written there) and created background patterned paper as well as focal image. I also made wordart circle saying "You're An Apple Of My Heart". As this card is going into card exchange, I will leave it blank, so that receiver can give it to someone who really is an apple of his heart. I used two color patterned paper scraps from K&Company and two jewels which I colored with orange ProMarker. 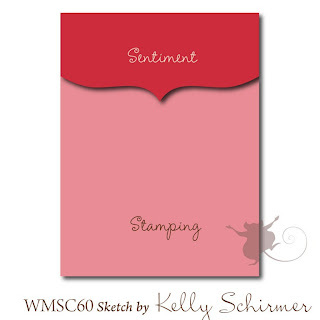 Background was colored with Soft Peach, Dusty Pink, Ivory, Lime Green and Soft Lime ProMarkers. Apple was colored with Cardinal, Lipstick Red, Magenta, Antique Pink, Peach, Canary and Pastel Yellow ProMarkers, but leaves of apple were colored with Olive Green, Moss, Bright Green, Lime Zest and Soft Green markers. 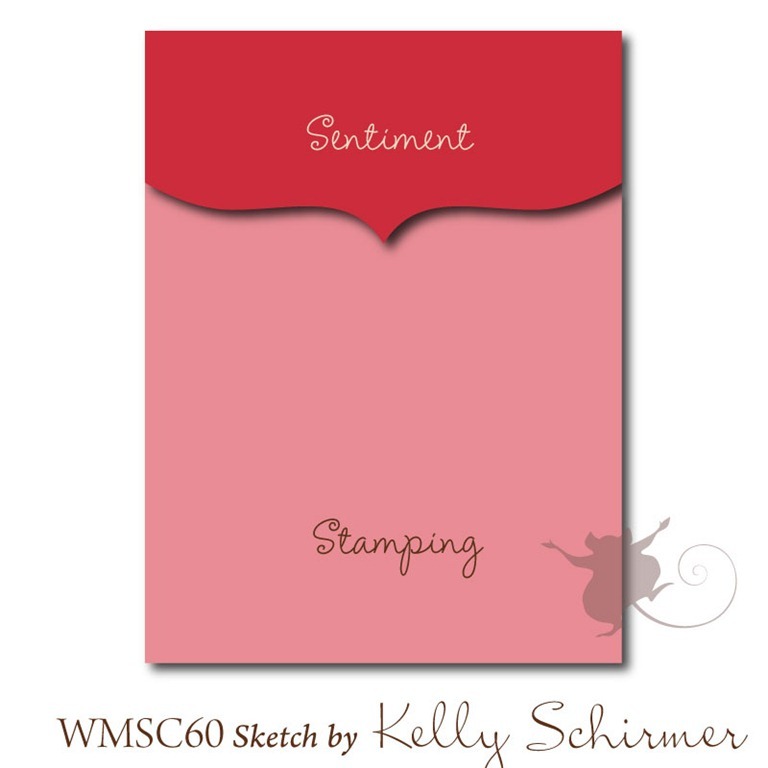 For this card i used sketch from Waltzingmouse Sketches, just rotated it so that the bracketed part is at the bottom. Great colours on this! The Design Team are really pleased that you joined us for the Simon Says Stamp and Show Challenge this week - Thank you! Very pretty! Thanks for joining us in the Sundays with Crissy Challenge!